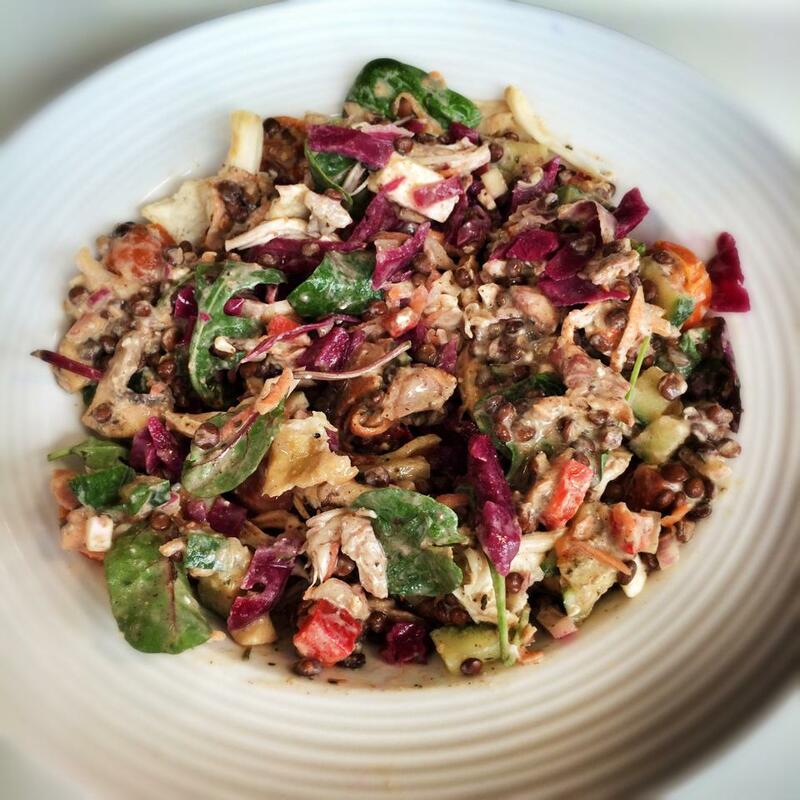 I have salad most days for my lunch at work and often try and whip up a salad to go with my main meal in an evening. As a result, I don’t want to get bored with the same old salad ingredients so this week I decided to mix things up a little and combine my two new discoveries: microwaveable lentils and Lebanese spice mix. I got my both from Tesco and whilst not overly cheap, the lentils serve 4 and the spice mix is a huge tin that will last for ages. I made this for me and my other half to have two days in a row for lunch. So good! I don’t count roasted chicken breast on the new Flex plan so this recipe is 3sp per serving. If you do, it will be 4sp per serving. Pop the tomatoes and mushrooms in a frying pan, spray with 1kal and fry off for a few minutes until they start to soften. Add the cooked lentils, stir through and sprinkle through ¼ tsp Lebanese spice. Pop the other salad ingredients (minus any leaves) in a large bowl. Pour in the warm lentil mix and stir. Mix together the yogurt, ½ tsp Lebanese spice, crushed garlic and black pepper. Pour on top of the salad mix. Add the chicken and feta and squeeze in a little lemon juice. Combine and then stir through the salad leaves. Hi Laura, love your recipes! 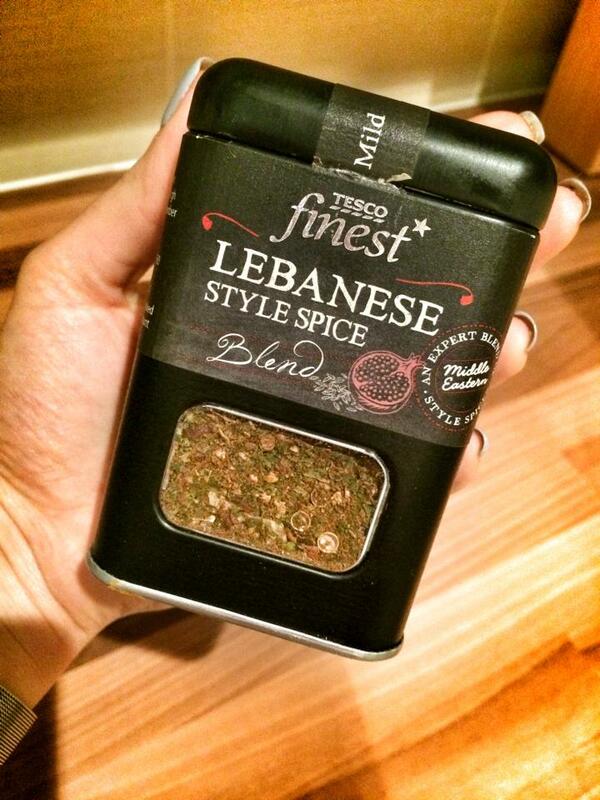 What would work if I can’t find the Lebanese spice mix? Thank you! Hi Laura, I really want to try this recipe and have had the Lebanese spice in my cupboard since you first posted it. 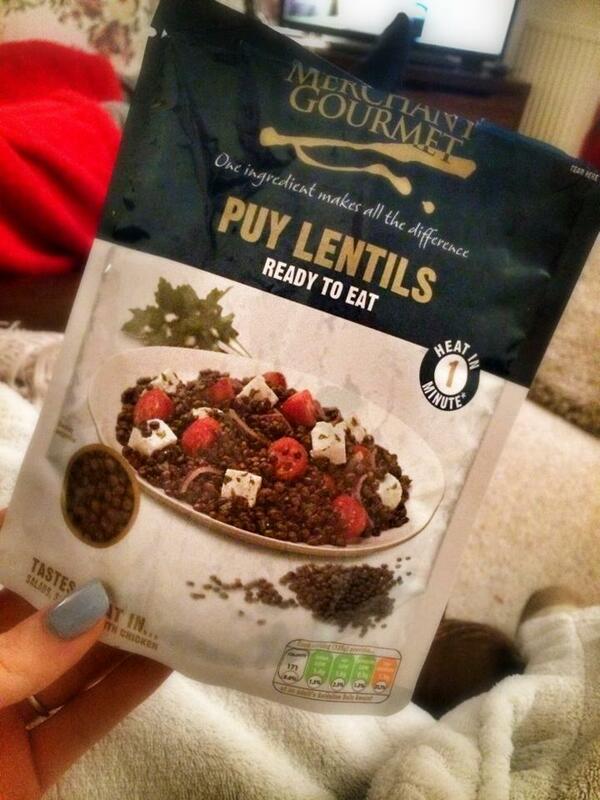 But I’m doing f&h and looking for an alternative to the ready to eat puy lentil! Do you have any suggestions what I could use instead which is f&h please? If i wanted to use full fat yogurt instead of fat free. How many extra points would it be?